When he’s not wielding his gavel, auctioneer John Bennett Jr. almost blends into the crowd of prospective buyers. Almost. Take a closer look, and you might notice, he’s probably the only person in the room sporting a tie. He says he does four or five auctions per year, but this is one of his favorites. “People come to buy and they know what they want and they’re not afraid to bid,” Bennett said. 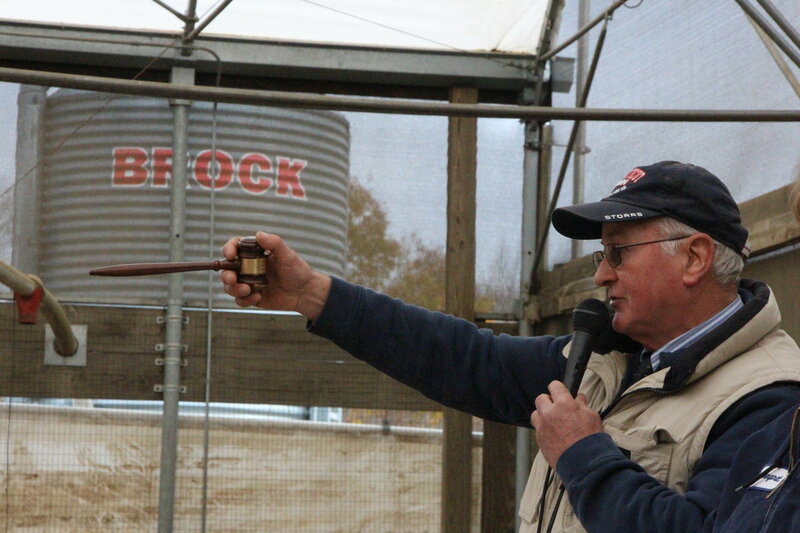 One such bidder was Lou Iacampo of Lebanon, Connecticut who has been coming to the sale for the last 10 years. He says as soon as he arrived and saw so many people, he knew there would be competition and the prices would be high. “Last year we paid $1.60 and this year we paid over $2.00…so unbelievably high,” Iacampo said. Still, for Iacampo, it was worth it because he likes to support the university. “We love buying educated beefers from UConn,” Iacampo said. 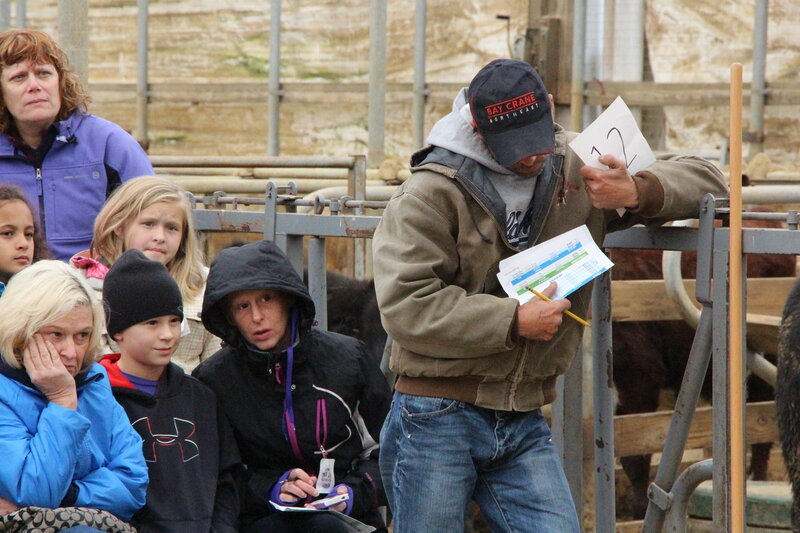 Animal Science Department Head Steve Zinn said he was very pleased with how the day went. After the auction, the owners packed their cows into trailers and brought the animals to their new homes.